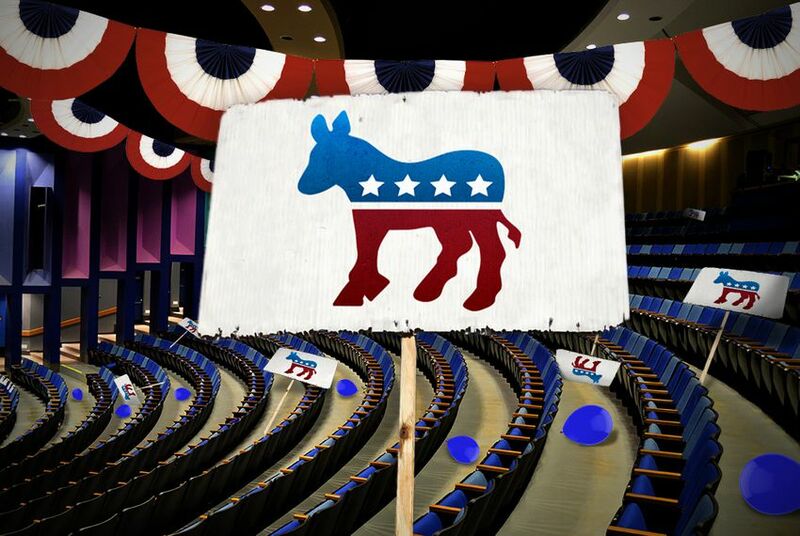 The Texas Democratic Party officially kicks off its convention Thursday in Dallas. The party is expected to adopt a platform with few changes and showcase the candidates at the top of its statewide ballot. With their state convention officially kicking off Thursday in Dallas, Texas Democrats hope their event proves to be a study in contrast with the one held earlier this month by their Republican counterparts. The GOP convention was marked by hotly contested debate over the party platform’s immigration plank and the endorsement of reparative therapy for gays and lesbians. Democrats aim to adopt a platform with few changes to the existing one. Manny Garcia, a spokesman for the Texas Democratic Party, described any such changes as “tweaks” rather than substantive changes. Those changes would be designed to update positions on issues like “full funding” for public schools and expressing support for the expansion of Medicaid under the Affordable Care Act. One of the convention’s main priorities will be to showcase the two women at the top of the Democratic ticket this November — Wendy Davis and Leticia Van de Putte, the nominees for governor and lieutenant governor, respectively. They will be the keynote speakers on Friday, Garcia said. Davis is running against Attorney General Greg Abbott, while Van de Putte is taking on state Sen. Dan Patrick of Houston. Garcia said that the Republican platform was evidence of a party divided into two factions and pulling further right. The Democrats’ goal, he said, is to present a more unified front on their platform to highlight priorities that have remained constant over the years — a commitment to the investments needed to promote opportunity for Texans. Republican Party of Texas Chairman Steve Munisteri strongly resisted any attempts to portray his party as divided at the convention, openly challenging news outlets at the close of the gathering to describe the party as anything but unified. Representatives of the Republican Party of Texas did not immediately respond to requests to comment for this story. Travis County Democratic Party Chairwoman Jan Soifer said Texas Democrats have spent the year since Davis’ special session filibuster building enthusiasm for the Democratic brand. The goal is to have the convention continue those efforts. Other notables scheduled the convention include U.S. Rep. Joaquin Castro of San Antonio, Houston Mayor Annise Parker, state Sen. Kirk Watson of Austin and state Rep. Trey Martinez Fischer of San Antonio. In all, about 7,000 delegates, alternates, guests and elected officials are expected in Dallas for the convention, according to the party. In other convention business, Rachel Barrios-Van Os plans to run again for party chairwoman, challenging the current chairman, Gilberto Hinojosa. Barrios-Van Os ran unsuccessfully for the position in 2012. And don’t expect to see the party’s idiosyncratic nominee for agriculture commissioner — Jim Hogan — at the convention. Noted for winning the nomination despite not actively campaigning, Hogan has already let it be known that he won’t be appearing in Dallas this weekend, Garcia said. When contacted on Wednesday afternoon, Hogan said that he was working on Thursday and Friday and couldn’t spare the time to attend the convention. He added that he doesn’t feel particularly welcomed by the party and that he believed his nomination was seen as “a disaster” for the Democrats. Disclosure: Jan Soifer was a donor to The Texas Tribune in 2011 and 2012. A complete list of Texas Tribune donors and sponsors can be viewed here.